Recognising individual contributions to keeping workers and workplaces healthy and safe every day, the British Safety Council will be presenting two special individual awards at the Gala Dinner of the International Safety Awards at the Grosvenor House Hotel in London on 27 April 2018. The two awards are for Health and Safety Champion of the Year and for Young Health and Safety Champion of the Year. This will be the sixth year that the British Safety Council will be presenting these awards. The awards recognise exceptional individual performance of non-health and safety professionals who have played a significant role keeping their work colleagues safe and healthy. For the Health and Safety Champion of the Year Award organisations nominate employees aged 25 or over. 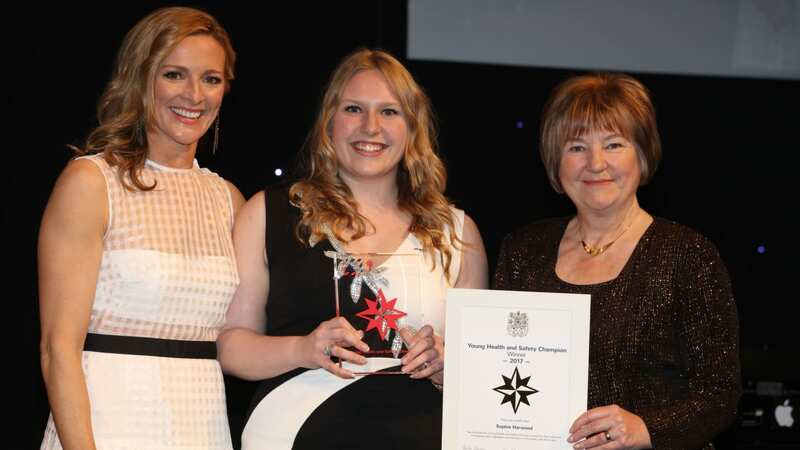 The Young Health and Safety Champion of the Year Award is given to a worker aged 16-24. In 2018, 143 organisations nominated individual employees for these awards. The applicants come from organisations operating in a wide range of industry sectors and countries, including the United Kingdom, Africa, Asia and the Middle East. This year for the first time, organisations were also able to apply for two new award categories. The Award for Employee Wellbeing Initiative recognises and rewards organisations which have implemented initiatives promoting and demonstrating a proactive and effective approach to improving worker wellbeing. The Award for Innovation to Improve Occupational Health and Safety recognises and rewards organisations that demonstrated a fresh and innovative approach to improving health and safety at work. Last year, Kieren McCafferty, site supervisor at Walker Construction, won the Health and Safety Champion Award. The Young Health and Safety Champion award for 2017 went to Sophie Harwood, junior engineering technician at Waldeck Consulting. They both demonstrated exceptional commitment to ensuring their colleagues’ health and safety and a great deal of initiative by introducing projects that protected co-workers from the risk of injury and ill health. Mike Robinson, Chief Executive of the British Safety Council, said: “On behalf of the Trustees and staff of the British Safety Council, I warmly congratulate the individuals nominated for the Health and Safety Champion Awards, for their outstanding commitment to management of health, safety and welfare risks in their workplaces. The shortlist of nominations reflects a great deal of individual effort of people who have gone the extra mile over and above their professional roles and responsibilities.